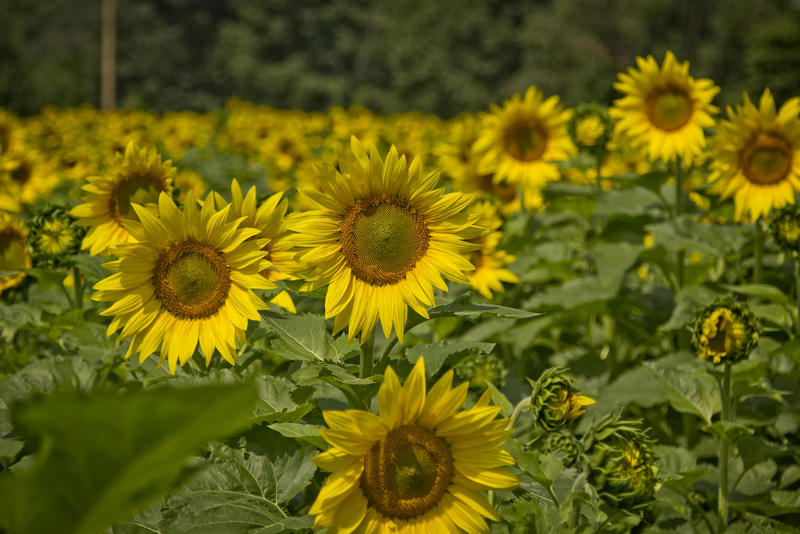 Last week while out doing work for my other company, www.inspictures.com I drove past this field of sunflowers. I stopped by and asked the owners for permission to photograph their field, they graciously said yes. After a bit of talking, it turns out that people stop by there to photograph their sunflowers every year. They have had senior pictures, engagement pictures, art photographers and the like. It never hurts to ask!